Colin Holme, executive director, graduated from the University of Maine after studying environmental science and oceanography. In 2018, Colin was promoted to executive director after years of working with the previous director on local and statewide lake issues. Before taking on this new role, Colin ran LEA’s water testing, mapping, and mitigation programs. He has been a lead coordinator for numerous watershed surveys and regularly works with municipal planning boards and staff to review large and small projects. He has coordinated GPS photo inventories of many of the nearby lakes and created the official shoreland zoning maps for six surrounding towns. Colin has served on the previous two statewide Shoreland Zoning study groups and plays an active role in his hometown’s local government. 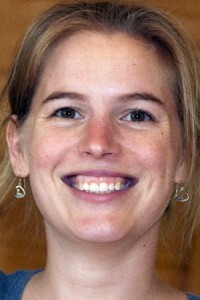 Mary Jewett, teacher/naturalist, graduated from Unity College with a bachelor’s degree in science ecology in 2006. Mary’s early career at LEA began in high school when she volunteered to help with the water testing program during one summer. Since then, her volunteer work has led her to focus on diverse environmental topics. Mary worked for a summer at Avian Haven in Freedom, Maine where she helped in the rehabilitation of wild birds. She also completed a prior term of AmeriCorps service in Cherokee, North Carolina where she used field research to determine the fire risk on the Cherokee reservation. Mary has a passion for education and believes that her own feelings about the natural world inspire others to care about it too. Alanna Doughty, educator, received her Bachelor’s degree in Ecology and Environmental Science in 2005 from the University of Maine in Orono after attending Alaska Pacific University and College of the Atlantic. Years later when she realized she was taking books out of the library simply to take notes on them, she decided to return to school at USM for a Masters in Education and finished in 2011, just shy of her daughter’s second birthday. She cannot remember this time of her life due to sleep deprivation. She also spent time in there working for Outward Bound, Ocean Classroom, Winter Journeys, and loves being outside. She graduated from the Lake Region School District and is excited to inspire students in learning about our local ecology. She brings her enthusiasm for the outdoors in general, and wetland plants in particular, to the table and loves being a part of the education crew at LEA. Jenny O’Connor, membership coordinator, lives in Bridgton with her husband and family. She has a deep appreciation for the region’s beautiful lakes and rolling hills and greatly enjoys the sense of community that comes from living in a rural area. She has studied Liberal Arts and graduated from Southern Maine Community College and has been involved in Bridgton’s Parent-Teachers Association. Amanda Pratt, staff researcher, graduated from the University of Southern Maine in 2011 with a degree in Environmental Science and went on to receive her Master’s degree in River Basin Management from the University of Stirling, Scotland in 2012. She started working at LEA in May 2013, helping to carry out a variety of new water testing programs. She lives in South Portland. Dr. Ben Peierls, Maine Lake Science Center research director, grew up on Long Island, New York and spent many summers visiting family at Sand Pond in Denmark. Ben and his brother maintain a camp on the lake to this day. 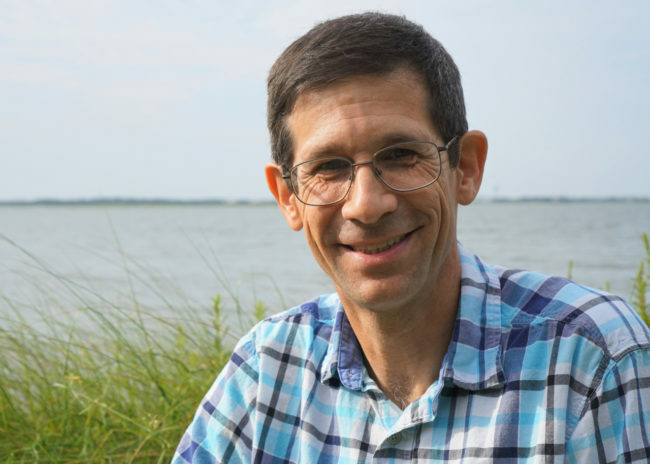 Since getting a Bachelor’s degree in biology from Cornell University thirty years ago, he has been actively involved as a technician, graduate student, and postdoctoral researcher in aquatic ecosystem research, including studies of lakes, large rivers, and estuaries. His focus has been on phytoplankton, microbial ecology, and general water quality issues, such as eutrophication. Ben received an M.S. and a Ph.D. in marine sciences from the University of North Carolina at Chapel Hill and was involved in the field work and data management for several long-term estuarine monitoring programs. When not studying aquatic systems, he enjoys sailing on and swimming in them, as well as playing ultimate and performing music. Alyson Smith, center and project manager of the Maine Lake Science Center, graduated from the University of Maine, Orono with a bachelor’s degree in education in 1984 and a master’s degree in educational administration from University of Southern Maine in 1991. She moved from Long Island, NY to Maine with her family while in high school and has lived in Harrison and Denmark for the past 28 years. Prior to joining LEA, Alyson had been in education for 30 years, most recently as a sixth grade STEM teacher at Harrison Elementary School. She participated with some of LEA’s programs with her classes. Environmental stewardship and use of the outdoors as a classroom has always be a priority. Alyson’s love of the environment, passion for teaching and learning, her sense of community, and belief that everyone can make a difference made for a natural affiliation with the Lakes Environmental Association. One of her favorite activities is to swim in a lake with her dogs. She also loves to alpine and back country ski, hike, paddle (kayak and SUP), and generally be outdoors. Cory Dunning, milfoil control and field services coordinator, graduated from the University of Maine Orono in 2012 with a bachelor’s degree in Wildlife Ecology. He grew up in the Lakes Region, moving to the area when he was young. He was inspired by LEA to follow his love for the natural world at a formative age with our outdoor education programming. Later in life, as a high school senior, he returned to LEA’s outdoor education program as a volunteer. He has worked a variety of jobs both in the environmental laboratory and in the field settings. After three years in Alaska, he is excited to return to the beautiful area he has always considered home and to do his part preserving and protecting the natural beauty and cultural identity of the Lakes Region area. President: Anne Wold, North Bridgton, Maine. Anne grew up in Rochester, NY and graduated from both Principia Upper School and from Principia College, located in Illinois. Along with having three children who grew up in various places like St. Louis, Vail, Boulder, and Denver, she fulfilled a dream of living in Maine in 1980. She moved to North Bridgton in 1995. Anne taught English and reading, sold real estate, worked for Day One at the Maine Youth Center and for an interior decorator. Anne returned to her home in Maine following four years in Naples, Florida, where she gave house tours, children’s tours, and walking tours for the Naples Historical Society. Anne considers LEA her favorite environmental organization, and she has been a past board member and president. Secretary: Lydia Landesberg, Waterford, Maine. Lydia grew up in New York and began coming to Western Maine in 1995 when her oldest child began attending camp. All four of her children eventually spent their summers in Maine at Camp Wigwam and Camp Pinecliffe. They became very attached to the area and in 2007 Lydia bought property in Waterford and built a house on Bear Pond. In 2015, Lydia and husband Roy sold their Westchester home and moved to Maine full time. Lydia graduated from SUNY, Empire State College with a B.A. in creative writing. In Katonah, where Lydia lived for 30 years, she served as a PTA president, president of the Katonah Village Improvement Society and was active in local politics. As president of the Katonah Village Improvement Society, Lydia led the organization’s successful legal battle which prevented the Martha Stewart Living Omnimedia Corp. from obtaining a broad trademark on the name of the town. Currently, Lydia is the proprietor of an eBay store, Serendipity Trading, which specializes in antique china and glass. Treasurer: Charlie Tarbell, Waterford, Maine. Charlie grew up, summers, on Keoka Lake in Waterford. He received a BA in Economics from the University of Massachusetts, Amherst. He also earned a Certified Financial Analyst (CFA) designation. After a 30 year career in economic consulting, strategic planning, and corporate finance in Boston, Portland, Maine and San Francisco, he again lives on Keoka Lake. Charlie spent 25 years volunteering for the Maine Chapter of the National Multiple Sclerosis Society, serving twice as Board Chair. He has been President of the Keoka Lake Association for 15 years, serves on the Waterford Planning Board, volunteers for the Waterford Library and the Alan Day Community Garden in Norway. Andrew Black , Portland and Sweden, Maine. Growing up in a military family, Andrew lived throughout the U.S. and in Italy and Germany and, whenever possible, spent time at the family homestead in Sweden, Maine. 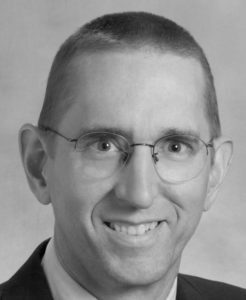 Since 2001 he has been an Assistant Attorney General with the State of Maine and since 2004 the Chief of the AG’s Professional and Financial Regulation Division. Before joining the AG’s Office, Andrew worked at a law firm in Portland and as in-house counsel for a Fortune 500 company. He is a graduate of Boston University and the University of Maine School of Law and was an infantry officer in the United States Marine Corps. Although, he has retired from playing and coaching soccer, he still enjoys hiking, running, and kayaking. Andrew and his wife, Monica, spend as much time as possible at their camp on Keyes Pond and, when lucky, are joined by their two children. Anne Butter, Bridgton, Maine. Anne grew up in Milwaukee and spent ten summers canoeing and camping on the lakes in Northern Wisconsin. She came to Maine to attend Colby College, graduating with a B.A. in Art History and American Studies. She then received an M.S. in Environmental Education from Lesley University through a program affiliated with the National Audubon Society in which students traveled the country for two years studying issues ‘in the field’ and sleeping each night under the stars. After graduating, she worked for the organization in Belfast for two years as the office manager, then moved to the Portland area and worked seven years for an importer/wholesaler, traveling to India as the Director of Quality and Logistics. After that, she spent twelve years with LL Bean in Logistics and six in Product Development. She has served on the boards of the Audubon Expedition Institute, the Environmental and Energy Council of Maine (E2Tech), and as a Deacon of the First Congregational Church, Bridgton. Dell Foss, Sweden, Maine. Ardelle (Dell) Foss retired after 19 years as Director of Sponsored Research Projects, Smithsonian Institution, and moved from Washington DC to rural Southwest Maine (Sweden) to finally “breathe” after her 38 year career with the Smithsonian, U.S. Agency for International Development (Cairo, Egypt) and Brown University. She was active in several research administration organizations, was a board member of the Research Administrators’ Certification Council, and served as officer, panelist, moderator and presenter at many conferences held by national and international professional councils. Her passion and advocacy (for increasing and managing scientific research, funded predominantly at the federal level, and organizational development in general) morphed into volunteering at several community non-profit organizations, with LEA the most closely aligned with her career. Others are Lovell’s Hobbs Memorial Library, Lakes Region Substance Awareness Coalition, Bridgton Hospital Patient Advisory Council, Deertrees Theatre and Sweden’s town committees. Frank Howell, Sweden, Maine. Frank grew up in Bridgton where he attended Bridgton Elementary, Bridgton Jr. High School, and Lake Region High School. He then moved on to Colby College, with his junior year abroad at Western Washington University. Embracing the practical, Frank found a job with the U.S. Defense Department (DoD) as a contracting officer. Eventually he realized that a DoD career was not the perfect fit, so he returned to Bridgton to start his own business, Here Be Dragons, llc, with his wife Nicky. Combining his management experience at DoD and a new-found love for creative engineering, Frank invented and patented numerous mission critical devices that are now in use by all branches of U.S. Military and various allied nations. Frank grew up skiing on Pleasant Mountain and was inducted into the Maine Ski Hall of Fame in 2012 for his contributions to the sport of Freestyle Skiing. Frank and Nicky have four children and three spectacular grandchildren. Henry Hudson III, Harrison, Maine. Henry grew up in Harrison and graduated from Oxford Hills Comprehensive High School in 1990. He spent one year in Vermont for civil engineering before going to work full-time for Henry’s Concrete, the family business. Back in the early ’90s, concrete work during winter months wasn’t as common as it is these days, so he worked full-time at Shawnee Peak. The company now has five to six year-round employees. In addition, Henry continues to work night and weekend shifts at the Peak. He is a captain of the Harrison Fire Department. Henry is also a certified diver in open water and under ice. With this skill, he serves as a member of the Oxford/Cumberland Dive Rescue Team. He and his wife, Jamie, live on Long Lake with their daughter. Henry has been on LEA’s board since 2014. Dan Richards, Bridgton, Maine and Atlanta, Georgia. Dan grew up in Bridgton. In 1985, he earned a BS in Mechanical Engineering from the University of Maine in Orono. In 1991, Dan became a registered professional engineer and also obtained an MBA from Georgia State University. From 1985-1997, he worked as a consulting engineer for a civil engineering firm in Atlanta, working on water and wastewater treatment plants and GIS utility mapping projects. 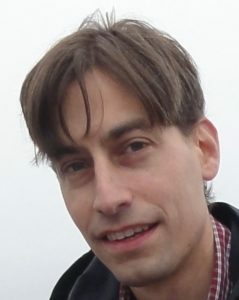 In 1997, Dan started Flagship GIS, Inc., a computer mapping and GIS web site business that grew rapidly and now primarily services city and county governments in Georgia and Alabama. In 2013, Dan and his wife, Roseana, purchased Tarry-A-While Resort on Highland Lake in Bridgton, where his sister, Donna, serves as innkeeper. Dan currently splits his time more or less equally between Bridgton and Atlanta, in two-week stints. He has three children, all currently attending college (OUCH). Dan volunteered for many years coaching and running youth swim teams as they grew up. He became an LEA board member in 2014. Len Rudin, Bridgton, Maine. Len is a retired urologic surgeon who lives in Bridgton. He trained in New York City hospitals and finished his schooling in 1974. He served in the US NAVY from 1969–1970 as Medical Officer and practiced in the Nyack, New York area until retirement in 2010. He has served as president of the Nyack Hospital medical staff, served on their Board of Trustees, and was chief of the Urologic Section and chairman of the medical executive committee. He also taught urology at Columbia P&S. Len now serves on the Ordinance Review Committee for Bridgton. He enjoys hiking, kayaking, cooking, boating and taking online courses. Orrin Shane, Portland, Maine. Orrin grew up in the Midwest, fishing and sailing on Michigan’s lakes and camping out in the deep forests of the Upper Peninsula. Orrin holds degrees from Kalamazoo College and the University of Michigan and a PhD from Case Institute of Technology. It was at the University of Michigan where he met his wife, Linda Crawford Knight, who had been going with her family to Keyes Pond in Sweden; thus began Orrin and Linda’s 50-plus year enchantment with Maine’s lakes, woodlands, and coastal waters. Linda is also a scientist, working in environmental history as reconstructed from earth system dynamics and pollen records in lake sediments. After 38 years’ work as a teacher, science museum curator and administrator, Orrin retired in 2004, moving from St. Paul, Minnesota and Washington, DC to Portland. Orrin’s museum career involved research and teaching in environmental anthropology and investigations of ancient and modern human impacts on the environment. As a curator at the Science Museum of Minnesota, he was responsible for developing in-house and national touring exhibitions and public programs on cultural, natural history, and environmental topics. This ultimately led to two tours of duty as a program director for informal science education at the National Science Foundation. Since 2005, Orrin has worked in private practice as a museum management consultant, with clients in New England and elsewhere. Eliot Stanley, Portland, Maine. Harvard College ’63 w/ honors History; law degree, 1972, Geo Wash U., DC; Congessionlal staff, 1964-73,Washington; US Comm. on Civil Rights, 1973-78, acting regional counsel & consultant, New York; owner/operator biomedical lab, Maine 1980-2003; retired 2003. Honors: Distinguished service Award, 1976 US Comm. Civil Rights; Advance Team, 1968, Dem. Nominee HHHumphrey; Governor Angus King, ME, 1997 Mbr. Trade Mission to S. America; Chair, Maine. Regulatory Fairness Board 2006-2011, apptd by Governor John Baldacci; 2017, Recipient, Albert Nelson Marquis Lifetime Achievement Award, for 20 consecutive years as Marquis biographee, Who’s Who in America. Lori Thomae, Westford, Massachusetts and Bridgton, Maine. Lori was born on Long Island, New York, raised in York, PA, and moved to New England after graduating from Purdue University with a bachelor’s degree in general science (biology). She earned a Master’s degree in technical & professional writing from Northeastern University and BELS-certification as an Editor of Life Science. Lori has over 30 years of professional experience in technical/scientific communications in managed care, clinical research, and biopharmaceutical drug development with adjunct faculty appointments at Northeastern University, Boston University School of Medicine, University of the Sciences in Philadelphia, and the Broad Institute of MIT and Harvard. She is employed as a regulatory writing consultant for global biopharmaceutical companies. Lori and husband David are seasonal residents of the Lakes Region for over 30 years–first Zakelo Island/Long Lake in Harrison and then Moose Pond in Bridgton as of 2009– splitting their time between Westford and Bridgton homes with their active family of 4 children and 4 grandchildren. As avid outdoor enthusiasts, Lori and Dave enjoy boating, hiking, skiing, snowshoeing, and all recreational activities on the water. Lori joined the LEA Board in August 2016 and currently serves as Secretary on the Executive Committee, as well as a member of the Board of Directors for the Moose Pond Association. Justin Ward, Bridgton, Maine. Justin grew up near Middlebury,Vermont and then attended Bates College where he received a BA in psychology. After teaching for a few years in Massachusetts, he and his wife Pam opened Bridgton Books in 1993, and have been busy operating the store to this day. Justin raised a family of three kids in this area and did his share of coaching while they were young. He also served on The Landmark Human Resources Board of directors for many years in Bridgton. He enjoys playing hockey, playing the fiddle, hiking, swimming, mountain biking, skiing and of course reading. Pat Webber Bridgton, Maine. Patricia started her career as a nuclear medicine technician in New Haven, Connecticut. She then switched careers into medical sales and for 30 plus years sold Laboratory equipment to hospitals and private labs throughout New England and New York. After retiring from medical sales, she started a private investment company called Options Dragon, which is now in its 8th year. She has an under graduate degree in marketing from Northeastern in Boston and an MBA from Suffolk University in Boston. Peter G. Whitchurch, Bridgton, Maine. Peter grew up in Western New York and is a fair and “fowl” weather supporter of the Bills. He and his wife, Jane, have lived in Japan, Idaho, Kansas City, Illinois, and Tampa. Following 19 years at Camps Newfound-Owatonna on Long Lake in Harrison, Peter and Jane moved across the lake to Bridgton. Peter has an AAS from Paul Smith’s College of Forestry in the Adirondacks. He studied biology and oceanography at the University of Miami and got a Bachelor of Science at University of Idaho in Wildlife & Fisheries Management. Peter has a strong avian interest and was accepted to Cornell School of Ornithology out of high school. Peter served with the Army Security Agency, was a small business manager and owner, conducted eight years of field investigation with the Florida Marine Research Institute, and helped rebuild a not-for-profit children’s camp. Peter and Jane met at the University of Miami and have a son, a daughter, and four grandchildren.